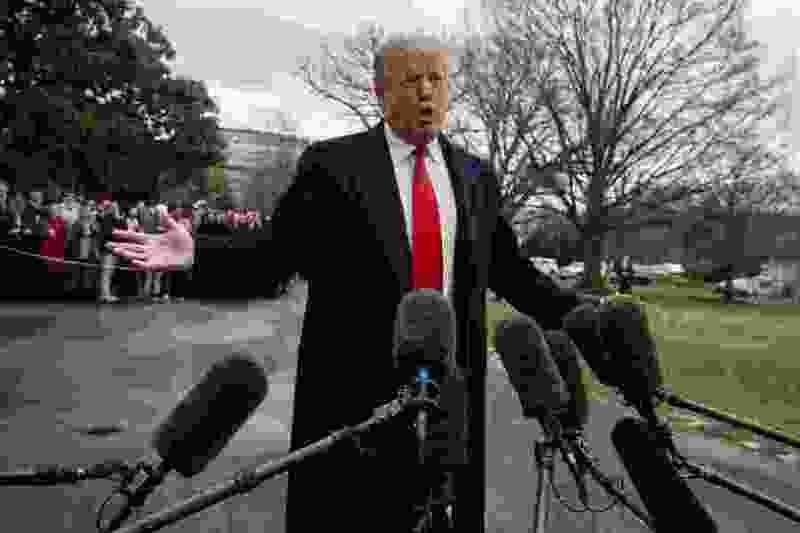 (Evan Vucci | Associated Press file photo) President Donald Trump talks with reporters before boarding Marine One on the South Lawn of the White House on Friday, March 22, 2019, in Washington. “Another low IQ individual.” This was the pejorative language used by President Donald Trump to describe former Vice President Joe Biden, a possible opponent in 2020. Please remember, Michael Cohen testified under oath that he’d threatened legal action against the schools Trump had attended if they released his grades or SAT scores. Trump has always claimed to have a “big brain,” so why would he oppose the American people knowing how he did in school? Given the current scandal about celebrity parents giving big bribes to elite schools to gain entry for their undeserving kids, one can’t help wondering if Trump’s wealthy father might have bribed those schools in the first place to gain entry for his intellectually challenged son.